It’s YATS episode 52! What’s going on, everyone? This is Ant Pruitt of Yet Another Tech Show. Each week Mat Lee, Larry Press, Mike Rothman and I sit down to have an informative, yet entertaining discussion on the latest technology news. We also share our findings on our social media streams. Check out all of our social connections on The Crew page here on Yet Another Tech Show. This week on YATS, we have a great guest joining the panel. Gina Smith, co-author of the book iWoz and Editing Director of aNewDomain joins us. Chris Miller from Spiked Studio joins us and Richard Hay of Google joins us as well. We appreciate them sitting down and chatting with us this week. Now scroll down and check out our show notes as you follow along with our audio and video feed. It’s time for Yet Another Tech Show, everyone. Welcome to our show and thanks for coming out to take a listen. Here we are tech evangelist that strive to bring you informative, yet entertaining tech discussions. The crew includes Mat Lee, Mike Rothman, Larry Press and myself. I’m Ant Pruitt. 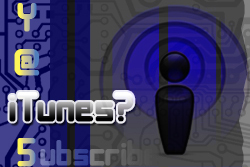 This week we’re joined by our friend Chris Miller from iDoNotes on Everything and Spiked Studios. Be sure to circle us and follow us on our social media connections. Now, it’s show time. . . . This. . .is. . .Yet Another Tech Show. 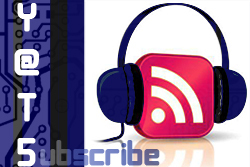 I hope everyone is well and we thank you for checking out our weekly technology podcast. Here you will find our super producer Mat Lee, Mike Rothman, Larry Press and myself, Ant Pruitt. This week we have a full house in for our broadcast. We’re joined by Isaac Kendall, Chris Miller and Michael Olsen. Be sure to check out these guys’ profiles here in the show notes. Isaac, Chris and Michael have some great content for you and we appreciate them joining us this week. On to the show, but first take a deep breath and try to have a moment of zen. Why? Keep reading to find out!